One of the Sukhoi Su-30MKM fighter aircraft of the RMAF. Photo c/o Reddit. 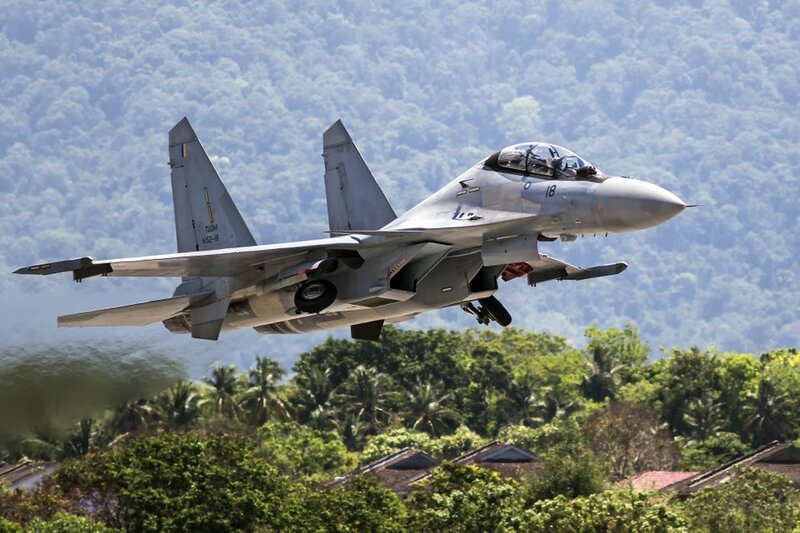 The Sukhoi Su-30MKM fleet of the Royal Malaysian Air Force (RMAF) started undergoing Preventive and Restoration Work, as the Russian-made fighter fleet enters 10 years of operation. At least 1 of the 18 Sukhoi Su-30MKM fighters of the RMAF completed the life-extension upgrade program recently, which was done locally by Sukhoi's local partner, Aerospace Technology Systems Corp. (ATSC). Two other Su-30MKM are undergoing similar upgrade works, with the rest of the fleet scheduled to receive a similar upgrade at a later date. The RMAF will formally accept aircraft, with military registration number M52-11 on 26 March 2019, and will debut at Langkawi International Maritime & Aerospace Exhibition 2019 (LIMA 2019) which opens this week. Conducting the life-extension program locally has allowed for cost savings for the RMAF compared to sending the aircraft for a similar upgrade program outside the country. ATSC was formed as part of a deal between the Malaysian government, and Russia's Rosoboronexport and Russian Aircraft Corporation to support Russian-made aircraft in service with the Malaysian armed forces, which includes the MiG-29N/NUB fleet, and now the Sukhoi Su-30MKM.